A light cream that sinks straight into the skin. 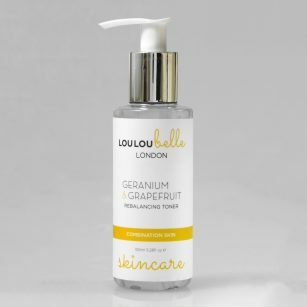 Calendula, Kiwi and Grapeseed oils help to balance the skin and act as an anti-inflammatory. Essential oils of Myrtle, Patchouli, Cedarwood, Sandalwood and Grapefruit help to improve the balancing of the skin, reduces pore size, stimulates cell regrowth and has antiseptic benefits that can help to clear congested skins. Apply a pea-sized amount of moisturiser morning and evening to cleansed, toned skin. Apply all over the face and neck avoiding the eye area. If any product comes into contact with your eyes, rinse with cool water immediately. amazing moisturizer for oily skins! really helped clear my skin up and also smells really good! 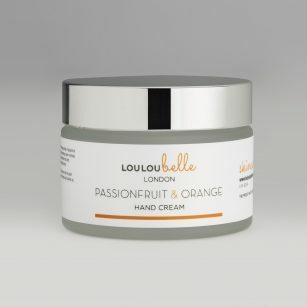 I was incredibly impressed with louloubelle skincare. Delivery of the products were quick, they arrived beautifully packaged and presented (something that most companies lack nowadays). I have tried a multitude of products on the market all failing to deliver on their promises. I had extremely problematic skin, a combination of oily and dry with constant breakouts. The product smell beautiful and absorbs instantly, its very light in texture and doesn’t feel claggy or sit on the surface of your skin unlike other products on the market. You don’t need to use a’lot of the product for it to work which is great as your getting more for you money, for my skin 1 pump does the job perfectly. I use this everyday without fail, the oil that was sitting on top of my skin and clogging my pores was gone completely within 2 days and has not returned 6 weeks later! My skin looks cleaner and brighter and It leaves you with an incredibly fresh feeling like you have just had a lovely facial in a spa. I would rate this product 5/5 and would highly recommend anybody having a problem with oily skin to try this product, you will not be disappointed!